All Ringoes homes currently listed for sale in Ringoes as of 04/20/2019 are shown below. You can change the search criteria at any time by pressing the 'Change Search' button below. If you have any questions or you would like more information about any Ringoes homes for sale or other Ringoes real estate, please contact us and one of our knowledgeable Ringoes REALTORS® would be pleased to assist you. "Integrating heritage and modern design, this circa 1800 historic farmhouse was completely reinvented with a fabulous addition while still preserving the best of its old-world patina. The hub of the home is the open-plan kitchen and spacious family room in the new part of the house. A charming glass hall opens to a blue stone patio as does the original dining room with a walk-in fireplace. The new master suite supplements two other bedrooms with a soothing ensuite and a dressing area with multiple closets. Second-floor laundry is off a wide hall. A wine cellar is in the basement. Added plus is an over-sized garage with high ceilings, heat, hydraulic lift, and drainage for indoor washing. The property in includes two beautiful restored barns: the first has two nice income-producing apartments with stunning outdoor spaces and a caretaker's efficiency; the second is a large, historic horse barn with radiant floor heat and electric. 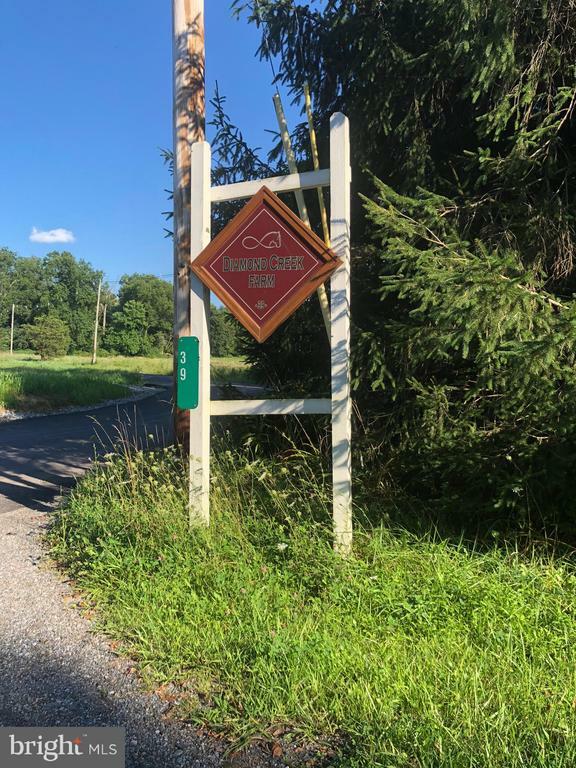 Property is on the Amwell Valley Trail Association." 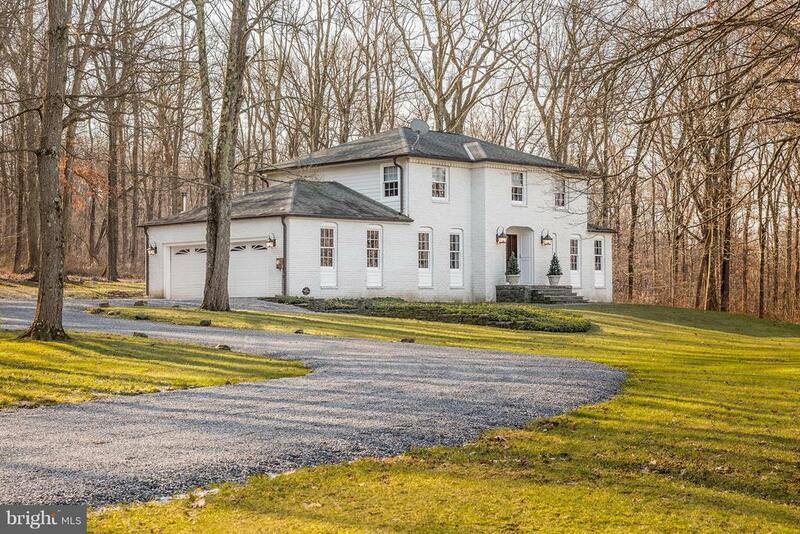 "Located in bucolic Ringoes, the oldest known settlement in Hunterdon County, this country estate is conveniently will take your breath away! As you walk up the front blue stone walkways up onto the bluestone steps, you are greeted with pure elegance of raised wood paneling and newly stained raised paneled front door. The foyer with gracious custom cherry wood banister is flanked by the formal living room & gracious dining room with Wainscoting, custom built-ins, built-in speakers for fabulous ambiance that can seat at least 16 for dinner. The gourmet kitchen has custom cherry cabinetry by Omega, Kitchen-Aid, Thermador and Sharp appliances, stainless steel appliances, gourmet Elkay sink w/Grohe faucet, bar area with beautiful glass doors, and a wonderful and spacious dining area. The adjacent family room with brick fireplace has a spectacular wall of custom built-in bookcases and cabinets, built-in speakers, newly painted, and windows that allow you to look out onto the gorgeous rear yard. On the other side of the kitchen is a beautiful mudroom area with travertine flooring and a brand new half bath with a new solid wood door, American standard gorgeous pedestal sink and toilet, and Moen fixture. From this side of the kitchen is also a beautiful set of glass French doors that lead you into the beautiful parlor/living room.... and the custom window treatments are beautifully done and are INCLUDED! Upstairs you will be graced with the most amazing cherry wood floors throughout, all new trim and sold wood doors, recessed lighting, Miele Washer/Dryer, all temperature controlled by Eccobar. The master bedroom suite is incredible with a brand new SUMPTOUS master bath with stunning sold natural cherry custom cabinetry, soapstone countertops and bench in shower, toto toilet, Legacy polished nickel fixtures, hammered polished nickel double sinks, RADIANT HEATED FLOORS, steam bath, travertine tiles on floor and entire shower including full shower walls, TV, Glass Castle"
"Price Reduction: Corporate owned farm with numerous outbuildings horse stalls, paddocks,. Main house is in need extreme amount of work, outbuilding condition unknown.There are mold issues and EPA issues. Selling strictly as is. Purchaser will be responsible for C of O, mold issues, EPA issues and any other unknown issues at their own cost and expense. Whatever reports we have obtained will be uploaded to the system. Please call listing agent for any questions you may have. 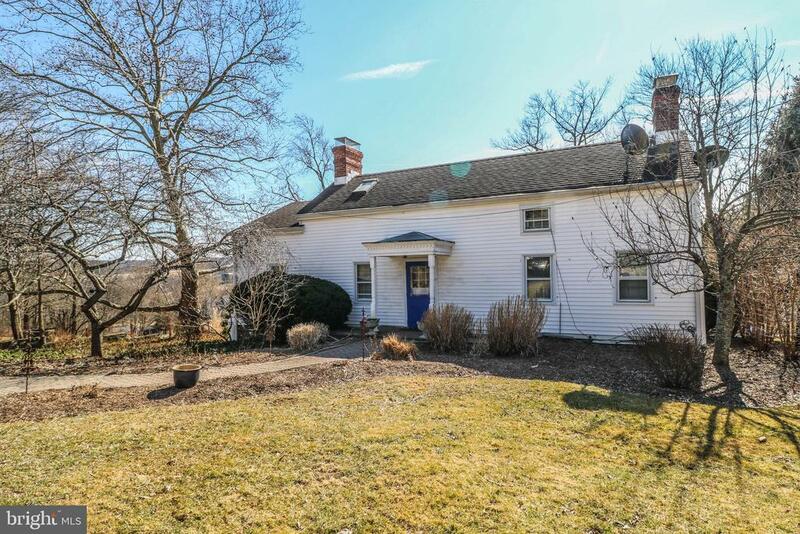 NO interior access as the property is occupied.Will be part of an upcoming auction on Xome.com"
"Dovetailing precision renovations of a 1749 farmhouse with 2016 amenities is the work of an artisan in flawless architecture. This home exemplifies a balance of modern design & vintage craftsmanship. The interior boasts beamed ceilings, gas fireplace, custom built-ins & wide plank wood floors. Spectacular gourmet kitchen sparkles stainless & granite. Beautifully renovated baths, spacious, light-filled bedrooms. Gorgeous property, wisteria covered porch, studio & serene natural stream. This home is not in a flood zone. FEMA map icon does not delineate location of home. (In x zone)." "NEW CONSTRUCTION! 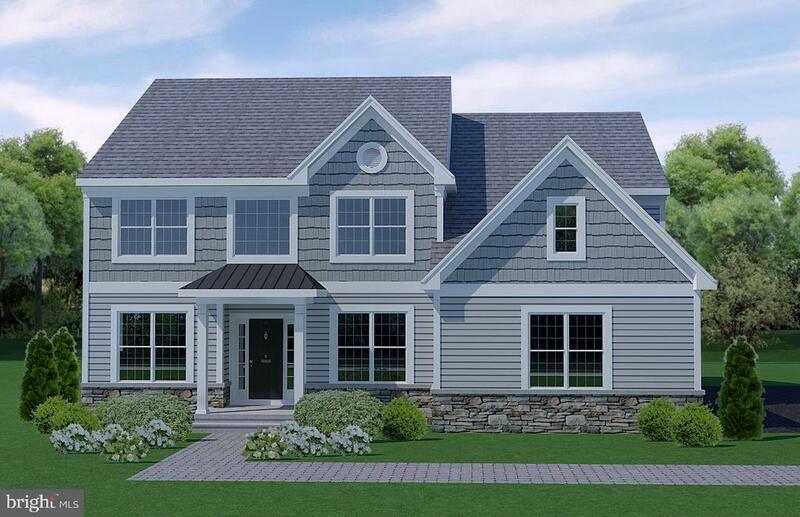 Award winning luxury home builder, Country Classics is proud to offer this home overlooking rolling farmland. Just minutes to shopping in nearby Flemington. TO BE BUILT! 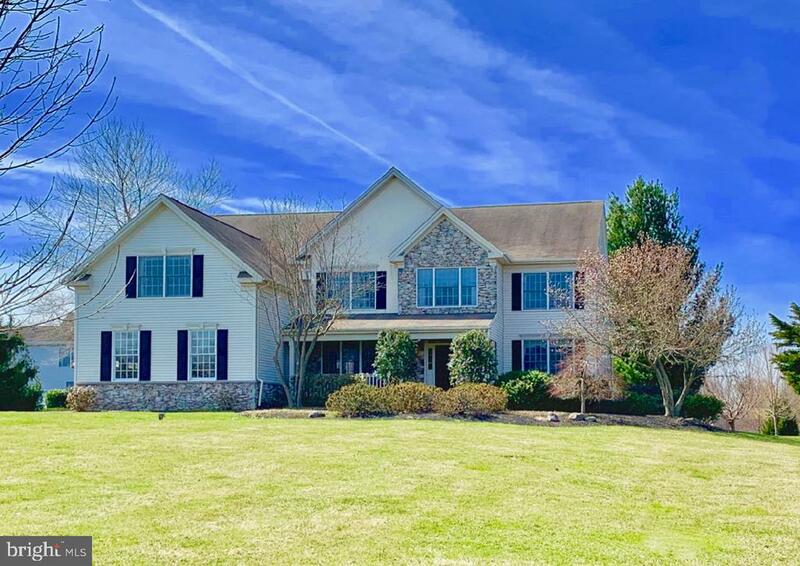 This classic center hall colonial features a gourmet center island, granite countertops, SS appliances in a spacious 2 story foyer in the family room and so much more." 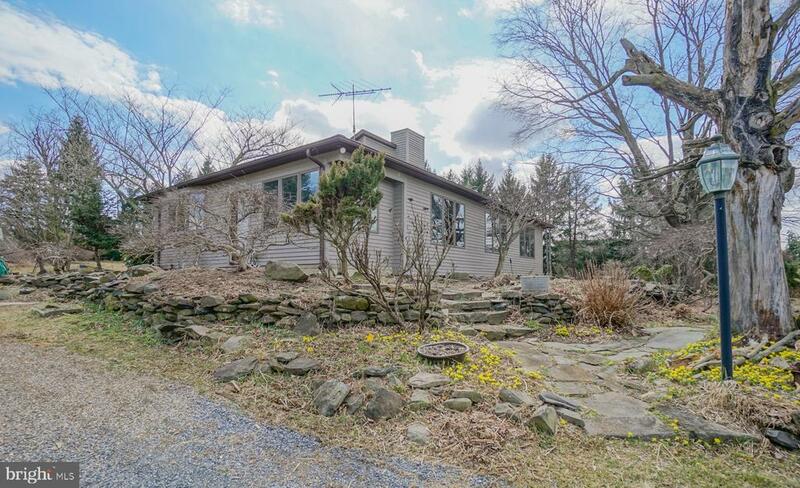 "Come see this Charming house that is situated on a 2 acre lot in Ringoes NJ ... This 3,200(approx)Sq ft property boasts 6 bedrooms and 3.5 baths. It has an amazing Sun room with multiple windows and skylights great for entertaining all year around. Sunroom has access to the backyard, patio and pool! !This unique house needs some updating but has a lot to offer !!!" 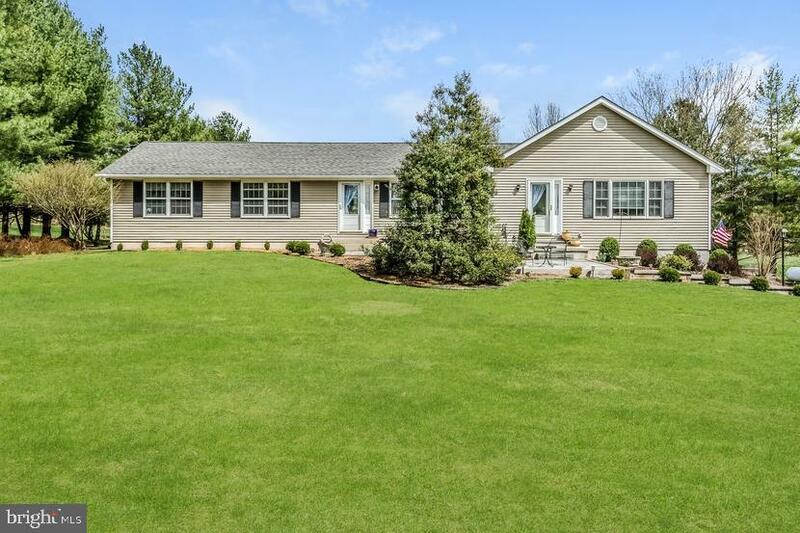 "This one owner immaculate & welcoming ranch home is on 3.4 perennial landscaped, tree lined, quiet acres with views. The 10 year addition of huge great room, full bath & laundry room has access to the rear deck. The sunny great room boasts a propane fireplace, cathedral ceiling, ceiling fans, closet. There are wide pine floors in the great room, dining room, den, & hall to full bath. The eat-in kitchen features newer stainless steel appliances, ceramic tile floor, wainscoting, crown molding & deck access. Three bedrooms and two additional full bathrooms compliment this neutral painted main floor. The lower level includes a heated & air conditioned recreation room, an office/game room, storage room, slider to rear patio, and access to the 3 car garage. The East Amwell Elementary School is pre-K to 8th grade. 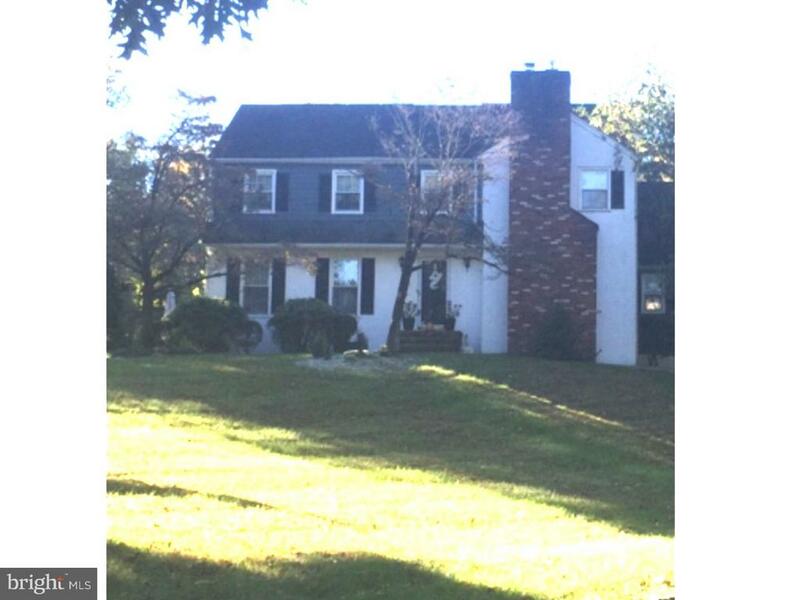 This home is ready to move in, convenient to Princeton and Flemington." "Tour this land and beautiful home in a peaceful tranquil setting. Comfortable rustic home on eleven and half acres with barn, garage, and small building to use in many ways. The inside of the home is bright, and has large windows throughout the home to bring in the sun while enjoying the pretty countryside! Close to many towns like Flemington, Hopewell, and Princeton with shopping, dining and amenities." 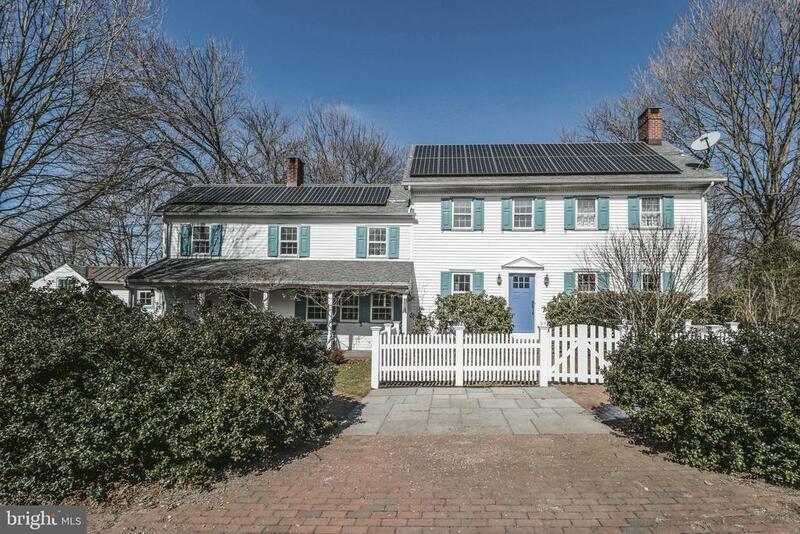 "Charming 1740 renovated Country Colonial on 1.73 acres. Incredible Views! Tranquil living at its finest. 4 baths, 3 fireplaces, Pumpkin pine floors, Stone patio, water garden. 2 car detached garage. Organic garden. If you are looking for something different and unique, this home is for you! You will love coming home." 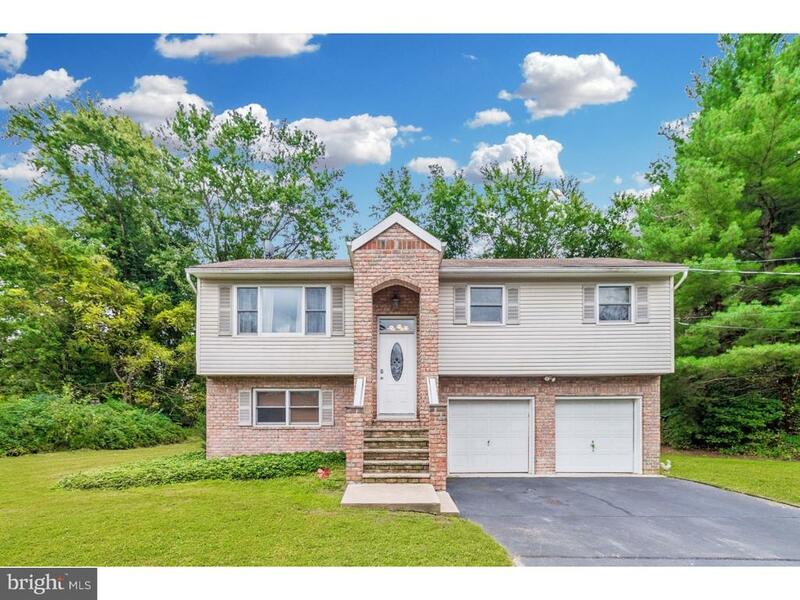 "Great area, excellent school system, useful floor plan, convenient location with easy access to Flemington, Lambertville, Princeton, Sergeantsville & Stockton. Walk/bike to village of Ringoes."